These are the perfect gifts to give someone special. 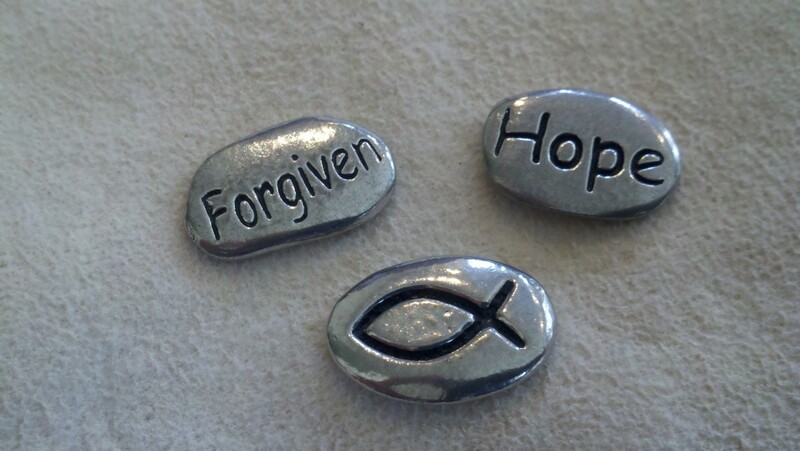 These hand made sterling silver engraved tokens are meant to inspire and encourage. Carry them around in your pocket or add them to our Antique Trade Bead Neck Pouch. Pick from the following engravings. Hope, Forgiveness, Christian Fish Symbol, Peace, Truth, Courage, Trust, Strength, Love, Sister, Brother, Friend! Price is dependent on the current price of silver and may require 4-6 weeks delivery.